Use the below form to search our scholarships. By clicking the table headings, you can sort the courses alphabetically/numerically by that column. The purpose of the AgCom Financial Scholarship is to support a student from Osceola County who enrolls at NCC and has an interest in business related fields. Scholarship proceeds will be utilized for tuition, fees, and books. Student must be accepted or currently enrolled in any of the following programs at NCC: Clerical Accounting, Accounting, Administrative Office Assistant, Administrative Office Management, Business, Business Management, or Associate of Arts: Business. As a commitment to the Everyone Knows Someone Who Chose NCC campaign, Jan and Tom Snyder have created an endowment to fund the NCC/Iowa Regents Scholarship annually in perpetuity. This scholarship is to encourage students to use NCC as a bridge to continue their bachelor’s degrees at Iowa State University, University of Iowa, or University of Northern Iowa. The Snyders have spent the majority of their careers in the public sector. Jan Snyder, Ph.D., was a longtime administrator at NCC, retiring as the Vice-President of Institutional Advancement & External Affairs in 2018. Tom Snyder, P.E., served as the County Engineer in Ringgold, Osceola, and O’Brien counties retiring in 2018. Jan and Tom, along with their children Sara and Eric and their spouses, and several extended family members have multiple degrees from Iowa State University and the University of Iowa. Their experiences through the Regents institutions have served them well personally and professionally. The scholarship will be used for tuition to an area high school graduate or an NCC student who meets the following criteria. The first $500 will be awarded to benefit the student during their enrollment at NCC and $500 will be sent directly to the Regent University of choice by the NCC Foundation at the time of transfer. Or the total award may be sent to the Regents institution at the appropriate time. NCC’s Presidents and Foundation Scholarship recipients are eligible to receive the NCC Regents Transfer Scholarship. In this case of a Presidential Scholarship recipient, the $1000 award would be made available to the Regents institution at the time of transfer. Preference may be given to any student who originates from the Sibley-Ocheyedan Community School District. Be a high school graduate from the college’s service area or a registered student in good standing in their first year at NCC. Have a 3.0 cumulative high school or NCC GPA at time of application and maintain a 3.0 GPA to receive continued funding. 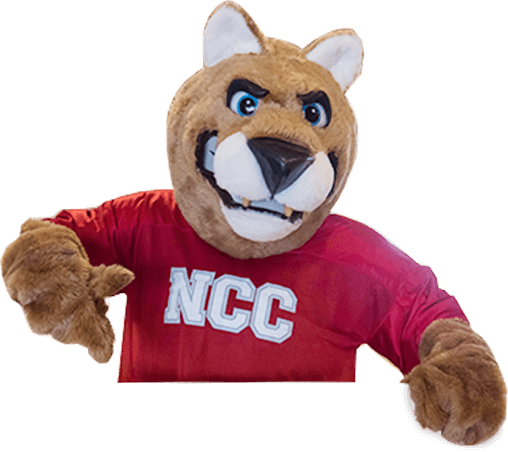 Submit a completed NCC scholarship application and a one-page essay sharing the applicants career aspirations and why they chose the community college as their bridge to a bachelor’s degree. The Ziegler AAS Degree Scholarship was established to encourage and assist students to become diesel technicians. With locations in Iowa, Minnesota, Wisconsin, and Missouri, Ziegler is one of the largest Cat dealers in North America. Ziegler sells and services Cat construction, paving, forestry, and mining equipment, as well as Cat trucks, generators, and industrial engines. In the agricultural market, Ziegler represents Challenger, AGCO application, and Lexion. Full-time student enrolled in the first or second year Diesel Technology program. Apply and interview with Ziegler Hiring Team. Complete assessment testing with Ziegler. Submit a letter of recommendation from your instructor, which should address the applicant’s potential for success in the program. The Wesley and Rita Freml Memorial Scholarship was created in honor of Wesley and Rita Freml. The Freml’s raised six boys, all of which became employed by power cooperatives throughout the state of Iowa. Proceeds can be used for tuition, fees, and books and will be applied to the recipients next semester’s bill. Preference will be given to students who originate from Iowa. Be a registered student in good standing in their first year at NCC. Be enrolled in the Powerline program and have at least one more semester to complete. The Vollink Trades Scholarship recognizes the instructional accomplishments of Ron Vollink, Carpentry Instructor from 1987 to 1998. Since that time, Ron’s family members have graduated from various NCC programs and have established successful businesses and careers. This scholarship has evolved to encourage excellence in the carpentry and diesel/trucking industries. The scholarships will be awarded to one Carpentry student and one Diesel Technology student. Proceeds will be used for tuition and will be split between two semesters. Be enrolled or accepted in the Carpentry or Diesel Technology program. Possess a minimum high school GPA of 2.0 or currently have a 2.0 cumulative grade point average at NCC. Have graduated from high school by the start of the fall semester. Have a good record of class attendance in high school and/or part-time employment. Reside in the 4 ½ county area served by NCC—Lyon, O’Brien, Osceola, Sioux, and part of Cherokee. Submit a letter of reference from a high school instructor, administrator, or current employer addressing the applicant’s potential for success in the carpentry or diesel field, your attendance, and work ethic/habits. The Vander Haag’s, Inc. Diesel Technology Scholarships were established to encourage and assist students to become truck and diesel technicians. Vander Haag’s, Inc. was founded in 1939 and operates truck and parts sales/repair facilities in six cities in the Midwest. Proceeds will be split equally between the fall and spring semester and will be utilized for tuition, fees, and books. Completed one semester of Diesel Technology program. Demonstrate exemplary work habits, a positive attitude, and excellent attendance. The Traer Municipal Utilities is a municipal electric utility serving 1,250 customer-owners in and around Traer, Iowa. The utility has benefited directly by hiring many graduates of the NCC Powerline program. The purpose of this scholarship is to encourage students to pursue careers in the energy distribution field. Either incoming or current students may apply. Recipients may be either first or second year students, but are eligible for only one scholarship. Proceeds will be split evenly between two semesters of study and may be used for tuition, fees, or books. Applied and been accepted (or currently enrolled) in the Powerline or Powerline Technology program. Be a student or graduate of North Tama County Community Schools, OR their immediate family (father-mother) or legal guardian must be a current customer of Traer Municipal Utilities. Non-traditional students, such as persons seeking a career change, are also eligible. Have a high school GPA of 2.0; must maintain a cumulative GPA of 2.5 while enrolled in the program. Submit two letters of reference from a high school teacher, guidance counselor, former employer, or current employer indicating the student’s interest in and potential for success in this career field. Committed to the industry, the Substation Technician Scholarship is available to offer scholarship opportunities to students who wish to pursue a career in the Powerline industry. A 1983 NCC Powerline graduate established this scholarship and believes in paying it forward. The scholarship will be split equally between the first two semesters of enrollment and will be used for tuition, fees, and books. Accepted in the Powerline program. Achieve a high school grade point average of 2.5 on a 4.0 scale. Maintain a 2.5 minimum grade point average; eligibility shall be reviewed each semester. Reside in the eastern half of the state of Iowa. Submit a reference letter from a high school instructor, guidance counselor, current employer, or manager with their application. This reference letter should address the applicant’s potential for success in the program chosen for enrollment. The purpose of the SkillsUSA Scholarship is to recognize the achievements of students who have experienced success at the National or State SkillsUSA competition. The SkillsUSA Scholarship will be awarded to high school graduates who have participated in a competition at the state level and received a gold, silver or bronze medal. Students must send a copy of their certificate with the scholarship application. In the case where a student has received multiple awards throughout his/her high school career, total scholarship will not exceed $1,500. High school students are not eligible for this award if they are dual enrolled in JA or PSEO classes. They will be eligible for this scholarship if they choose to attend NCC as a full-time student in the fall or spring semester after graduation from high school. Sheldon Competition Park was a motor sports complex that offered Motocross, Demolition Derby, Go-Karts and Mud Drags. The complex was constructed with the aid of NCC’s Powerline and Heavy Equipment programs. The dedication and hard work of all the volunteers who made the organization successful has created this scholarship as a legacy to encourage students interested in Powerline and Heavy Equipment to use their talents for the betterment of their communities.The legacy scholarship will be given to a full-time student in each of the programs. Preference will be given to a local graduate. Be a registered student in good standing in the Powerline or Heavy Equipment Operation & Maintenance program with at least a 2.0 GPA. Have a record of good attendance. Demonstrate exemplary work habits, leadership qualities, and financial need as evaluated by instructors’ input. Rodney Anderson has been part of the farming community in O’Brien County since he was 4 years old. The Rodney Anderson Agriculture Scholarship is to support the achievement of students who attend NCC and enroll as a full-time student in one of the programs listed. Scholarship proceeds will be split equally between two semesters and may be used for tuition, fees and/or books. Have attained a 2.5 GPA from high school or have successfully completed a high school equivalency exam. Be enrolled in one of the following programs: Heavy Equipment, Diesel Technology, Powerline, Industrial Instrumentation & Control, Electrical Technology or Carpentry. Submit a letter of reference from a high school instructor, guidance counselor, or employer which should address the applicant’s potential for success in their chosen program of study. The Rock Valley Economic Development Corp. Heavy Equipment Scholarship was established to show appreciation to the partnership with the NCC Heavy Equipment program and its role in preparing properties in Rock Valley for industrial and residential growth. Scholarship proceeds will be utilized for tuition, fees, and books and split between the upcoming fall and spring semesters. Must exhibit an enthusiasm and proficiency for the Heavy Equipment Operation and Maintenance profession. Must be entering into the second year of the Heavy Equipment Operation and Maintenance program. Must have a 2.0 cumulative grade point average at the time of application. The Powerline Scholarship has been endowed by the electrical power industry. Be a registered student in good standing in the first year of the Powerline program. Attain high academic achievement, as determined by cumulative grade point average in the Powerline program. Demonstrate good work habits and leadership qualities as evaluated by the instructional staff. Have a record of good class attendance. The Peter J. Dudgeon Memorial Powerline Scholarship was established in memory of Peter J. Dudgeon by his family and co-workers. Peter was a 1990 graduate of the Powerline program. The scholarship is awarded to a student currently enrolled in the Powerline program. The award is based on his/her good standing, leadership qualities, strong class attendance, and financial need. The Osceola Electric Coop is a distribution cooperative serving 1200 member-owners in Osceola County. The coop has benefited directly by hiring many graduates of the Powerline program. The purpose of this scholarship is to encourage students to pursue careers in the energy distribution field. Either incoming or current students may apply. Proceeds will be split equally between two semesters of study and may be used for tuition, fees, or books. Be accepted (or currently enrolled) into the Powerline or Powerline Technology program. Be a resident of Osceola County. Have a high school GPA of 2.0. Maintain a cumulative GPA of 2.5 while enrolled in the program. This scholarship was established to assist a student who is interested in pursuing a career in the construction industry. Neal Chase Lumber Company is a family owned business and has been in operation since 1931. They operate stores in Sheldon, Alton, Primghar, Hospers, Sioux Center, Remsen, and Orange City. Proceeds from this scholarship will be divided between the spring semester and summer term. Be a registered student in the Carpentry or Construction Technology programs. Demonstrate a strong desire to remain in the carpentry or construction business as a life-long career. Maintain a 2.0 cumulative grade point average. Demonstrate good work habits, excellent attendance, and a positive attitude. Midland Power Cooperative, Jefferson, Iowa, is interested in maintaining a skilled and educated workforce; therefore, it has established a scholarship to assist students pursuing a postsecondary education in an electric utility lineworker program. A scholarship committee will evaluate all applications. The scholarship will be applied at the beginning of the student’s second semester. Scholarship proceeds shall be used for tuition, fees, and books. Have applied and been accepted into the Powerline program (or show proof they are on a waiting list). Student must start school within 12 months of the application deadline. Be a dependent child of a current Midland Power Cooperative member, or be a current member of the Cooperative. Preference will be given to residents of Hardin County, Iowa. Have a high school GPA of 2.75. Submit a letter of reference from a high school instructor, guidance counselor, current employer, or manager of a member electric cooperative, which should address the applicant’s potential for success in the program chosen at enrollment. Contact the NCC Foundation Office for an application. The MidAmerican Energy Company Scholarship was created to encourage individuals to pursue post-secondary education opportunities at NCC. Be enrolled in either the Powerline or Powerline Technology program. Be a current resident of a community that has a MidAmerican utility in its service area. Achieve a high school grade point average of 2.5. Maintain a 2.5 minimum cumulative grade point average. Submit a letter of reference from a high school instructor, guidance counselor, or current employer, which should address the applicant’s potential for success in the program. This scholarship was established in memory of Mel Marcotte. Mel was an instructor at NCC from 1967 to 1990. Mel was instrumental in creating the Powerline Program and was the first instructor. Mel passed away in 2005. An endowment has been set up at the College for scholarship purposes through funds from former students, industry leaders, Powerline program funds, current Powerline instructors, and Mel’s children. Be a registered student in good standing in the Powerline program. Attained high academic achievement, as determined by cumulative grade point average in the Powerline program. Lyon Rural Electric Cooperative is a rural electric distribution cooperative located in Rock Rapids, Iowa. The purpose of this scholarship is to encourage students from our service area to enroll in the Powerline program. Either incoming or current students may apply. Proceeds will be split equally between two semesters of study and may be used for tuition, fees, or books. Preference will be given to a member of a family served by the cooperative, including Larchwood, Iowa. Be a resident of Lyon, Sioux, or Osceola counties. Have a high school GPA of 2.5 and maintain a cumulative GPA of 2.5 while enrolled in the program. Submit a letter of reference from a high school teacher, guidance counselor, former employer, or current employer indicating the student’s potential for success in this career field. The purpose of the Linn County REC Allen Feickert Memorial Scholarship is to recognize Allen Feickert’s many years of dedicated service to the Linn County Rural Electric Cooperative. Scholarship proceeds will be split equally between the fall and spring semesters and must be used for educational costs. Completed 3 ½ years of high school. Be accepted into the Powerline program. Maintain a 2.5 cumulative grade point average at NCC; eligibility shall be reviewed each semester. Complete a scholarship application form on the website listed below. Application can only be made online. Submit an application form, a personal cover letter, and three letters of recommendation which should address the applicant’s potential for success in the Powerline field. This scholarship has been established to encourage students to enter the automotive field. Lems Auto Recyclers was started in 1947, and they currently operate in their original location in Doon, Iowa. This scholarship will be awarded annually to an incoming student enrolled in one of the programs listed below. Proceeds will be utilized for tuition, fees, or books and will be equally divided between the fall and spring semesters. Be accepted into the Automotive Service Technology or Automotive & Light Duty Diesel Technology program. Be a current resident of the College district. Have a high school GPA of 2.0 on a 4.0 scale. Maintain a GPA of 2.0 while enrolled in the program. Submit a letter of reference from a high school instructor or current employer addressing the applicant’s potential for success in the automotive field, attendance, work habits, and attitude. The purpose of the Jebro, Inc.–Knife River Corporation Scholarship is to support the achievements of students enrolled in the Heavy Equipment or Diesel Technology programs. Proceeds will be utilized for tuition, fees, and books and will be applied to the spring semester. An interview process with the Selection Committee may be deemed appropriate depending upon the number of applicants. Eligible students must be in Heavy Equipment or Diesel Technology. Demonstrate good work habits and leadership qualities as evaluated by the faculty. Attain high academic achievement, as determined by cumulative grade point average in the Heavy Equipment or Diesel Technology program. Express a desire to seek employment in the Heavy Equipment or Diesel Technology field in construction following graduation in an area served by Jebro, Inc. or Knife River Corporation (Iowa, Wyoming, South Dakota, Texas, Minnesota, or North Dakota). Have a good record of class attendance. The Iowa Land Improvement Contractor’s Association Northwest District Heavy Equipment Scholarship supports the achievements of students enrolled in the NCC Heavy Equipment Program. Scholarship proceeds will be utilized for tuition, fees, and books and will be applied to the spring semester. Be enrolled in the second year of the Heavy Equipment program. Demonstrate good work habits and leadership qualities as evaluated by the heavy equipment faculty. Attain a high level of academic achievement as determined by cumulative grade point average. Express a desire to work in the heavy equipment field following graduation. The Iowa Association of Electric Cooperatives—Pioneer Trust Traditional Student Scholarship is awarded annually to a traditional student enrolled in the Powerline or Powerline Technology program. Proceeds will be applied to the spring semester and may be used for tuition, fees, and/or books. Be a registered traditional student in good standing in the first year of the Powerline or Powerline Technology program. Attained high academic achievement, as determined by cumulative grade point average, in the Powerline courses. Demonstrated good work habits and leadership qualities as evaluated by the instructional staff. The Iowa Association of Electric Cooperatives—Pioneer Trust Non-traditional Student Scholarship is awarded annually to a non-traditional student enrolled in the Powerline or Powerline Technology program. Proceeds will be applied to the spring semester and may be used for tuition, fees, and/or books. Be a registered non-traditional student in good standing in the first year of the Powerline or Powerline Technology program. Be a second-year student in the Industrial & Commercial Wiring or Industrial Instrumentation & Control program. Hold a minimum cumulative grade point average of 3.0. Submit a 250–400 word typed essay on “Why I am interestedin a career in the Industrial & Commercial Wiring and/or Industrial Instrumentation & Control Field”. Sponsored by the Instrumentation Systems & Automation Society ISA District #6 Omaha Section, the Industrial Instrumentation Scholarship is awarded on the basis of a student’s achievements. Be a registered student in good standing in the first year of the Industrial Instrumentation & Control program. Be a student member of the International Society for Measurement and Control (ISA). Complete a 250–400 word typed essay on “Why I am Interested in a Career in the Automation Field”. The Industrial & Commercial Wiring Scholarship was established to recognize students who exhibit a desire to succeed in the Industrial & Commercial Wiring program at NCC and demonstrate potential for future success in the profession. Scholarship proceeds will be utilized for tuition and fees for the summer term. Completed 12 credits within their program of study prior to application deadline. Have a cumulative grade point average of 3.0 on a 4.0 scale at time of application. Submit a 250–400 word typed essay with the application entitled: “My Future in the Electrical Trade”. The Home Builders Association of Iowa Scholarship was established to provide scholarship funds to students pursuing a career in the home building industry and related trades. Any student pursuing a career in the home building industry and related trades including immediate family members of the HBA of Iowa (builder or associatemember) may apply. Applicants must submit the official applicationform and written essays to the HBAI Education Corporation scholarship awards committee. For an application go to www.hbaiowa.org/about-the-hba-iowa/scholarship-information. The purpose of the Ford/AAA Auto Skills Scholarship is to recognize the achievements of students from Iowa, Minnesota, Nebraska, and South Dakota who are successful in the state Ford/AAA Auto Skills Competition prior to their enrollment in any of the Automotive programs at NCC. The Ford/AAA Auto Skills Scholarship will be awarded to high school graduates who have participated at their state level and received a gold, silver, or bronze medal. In the case where the student has received multiple awards throughout his/her high school career, total scholarship will not exceed $500. Students must send a copy of their certificate with the scholarship application. The Elmer J. Steuck Memorial Scholarship was established to support students who will be enrolled in the Heavy Equipment or Diesel Technology programs at NCC. This scholarship was established by Lu Vella C. Burnett in memory of her brother, Elmer. Elmer farmed for over 60 years in the Primghar area and was a World War II Veteran and served as an Army nurse in a field hospital. Proceeds will be split equally between the fall and spring semester of study and will be utilized for tuition, fees, and books. Be enrolled in the Heavy Equipment Operation, Diesel Technology, or Automotive & Light Duty Diesel Technology program. Achieved a 2.0 cumulative grade point average in high school or currently have a 2.0 cumulative grade point average at NCC. Submit a letter of reference from a high school instructor, college instructor, or current employer, which should address the applicant’s potential for success in his/her chosen program. The Edward Archer Memorial/MP&W Powerline Scholarship was established in memory of Ed Archer. Ed graduated from the Northwest Iowa Technical College Powerline Program in 1970. Throughout his 37-year career, he worked as a lineman, electric crew foreman, electric superintendent, and system operator. Ed worked at Muscatine Power and Water as a Lineman and a System Operator. This memorial has been established by Ed’s wife, Kathy, and Muscatine Powerand Water to promote the lineman trade and assist students preparing for a career in this field. To learn more about Muscatine Power and Water, please visit www.mpw.org. Preference is given to students from Muscatine or its surrounding communities. Scholarship proceeds will be used for tuition, fees, and books and applied to the student’s fall and spring semester tuition. Applied and been accepted into the Powerline program. The ECHO Electrical Supply Scholarship was created to recognize students who exhibit a desire to succeed in the Electrical Technology Program at NCC and demonstrate potential for future success in the profession.Scholarship proceeds will be utilized for tuition and fees for the summer term of the Electrical Technology Program. Intend to pursue an Electrical Technology Advanced Standing Degree. To be considered a candidate for the Eastern Iowa Light & Power Cooperative Scholarship. Reside in one of the following counties: Cedar, Clinton, Des Moines, Johnson, Linn, Louisa, Muscatine, Scott, or Washington. Have a GPA of 2.6 or higher. Recipients can be new or returning students but preference will be given to someone with one semester or more of Powerline completed. The Dennis Van Wyk Memorial Scholarship was established in memory of Dennis Van Wyk by his wife, Gert, and their children. Denny was a long-time member of the Truck & Diesel Technology Program Advisory Committee and hired several graduates from the program. He was an avid supporter of NCC in the early years of the College. Proceeds will be split equally between the fall and spring semesters and may be utilized for tuition, fees, and books. Completed one semester of the Diesel Technology program. Demonstrated exemplary work habits, a positive attitude, and excellent attendance. The Dave Imhoff Automotive Service Technology Scholarship is to encourage and assist qualified students to become automotive technicians. Be a registered student in good standing in the first year of the Automotive Service Technology program. Maintain high academic achievement, as determined by cumulative grade point average. Maintain a record of good class attendance. Why are you in need of this scholarship? Committed to the communities it serves, Corn Belt Power Cooperative partners with NCC to offer scholarship opportunities to students who reside in a county served by a cooperative in the Corn Belt Power system. Corn Belt Power is interested in maintaining a skilled and educated workforce to serve its members well into the future. Recipients may be either first or second year students, but are eligible for only one scholarship. Each scholarship will be split equally between the first two semesters of enrollment after receiving the scholarship. Scholarship proceeds will be used for tuition, fees, and books. Accepted as a full time student in Industrial & Commercial Wiring, Powerline, or Powerline Technology program. Reside in a county served by a member cooperative of Corn Belt Power. Maintain 2.5 minimum grade point average; eligibility shall be reviewed each semester. Consumers Energy of Marshalltown, Iowa, has established this scholarship to assist students pursuing a post-secondary education in an electric utility lineworker program. A scholarship committee will evaluate all applications and personally interview the finalists in Marshalltown. Preference will be given to Consumer Energy members in Iowa. Have applied and been accepted into the Powerline or Powerline Technology program (or show proof they are on a waiting list). (a) What are the reasons for pursuing a career as an electric utility lineworker? Who, if anyone, has inspired you to pursue such a career. (b) Explain the role that rural electric cooperatives play in your community. The Brad Georgius & Mitchell Hinners Memorial Powerline Scholarship was established by the Manilla, Iowa, City Council and employees of Manilla Municipal Utilities in memory of Brad Georgius and Mitchell Hinners. Brad was an employee of Manilla Utilities for ten years. Mitchell was an employee of Manilla Utilities for a year and was a 2009 graduate of the NCC Powerline program. Scholarship proceeds will be split between the recipient’s fall and spring semesters and may be applied to tuition, fees, and/or books. Preference will be given to residents of Crawford County or a graduate of IKM Manning High School. Accepted as a full time student in the Powerline program. The Bill Franey Memorial Powerline Scholarship was established in memory of Bill Franey. Bill began his career with the Greene County REC which later became Midland Power Cooperative. He worked for the Cooperative for 30 years starting as an apprentice lineman, a journeyman/lineman, a foreman and for the last ten years of his career he served as line superintendent. He retired after 41 years with the Cooperative. The memorial has been established by Bill’s wife, Shirley Franey. Scholarship proceeds will be used for tuition, fees, and books. Preference will be given to students from Greene County. Be a registered student in good standing in the first year of the Powerline or Powerline Technology program. Completed one semester before the scholarship is awarded. The AWS Foundation is dedicated to meeting the needs for education and research in the field of welding and related joining technologies. District scholarships are awarded to students enrolled in a welding-related education or training program. Copies of the scholarship application may be downloaded from their website. The Associated General Contractors of Iowa Heavy Equipment Scholarship supports the achievements of a student enrolled in the NCC Heavy Equipment program. The scholarship will be awarded to an eligible student after the first fall semester is completed and will be applied to their first year spring semester. Proceeds will be used for tuition, fees, books, and equipment. Attain a high level of academic achievement as determined by their cumulative grade point average. Alliant Energy Corporation is a regulated, investor-owned public utility holding company providing regulated electric and natural gas service to approximately 1 million electric and 420,000 natural gas customers in Iowa, Wisconsin, and Minnesota. The scholarship funds will be split equally between two semesters of study and may be used for tuition and books. Preference will be given to minorities or under-represented groups within the student population, to women in a non-traditional area of study, and to students showing financial need. Must be accepted or enrolled in the Powerline or Powerline Technology program. New students must have a high school GPA of 2.75 or current students must have an NCC GPA of 2.75 based on 12 or more credits. Ag Processing, Inc. (AGP) is a farmer-owned cooperative engaged in the procurement, processing, marketing, and transportation of grains and grain products with a soy processing operation in Sheldon. The scholarship is to encourage students to pursue careers in the agri-business industry. Either incoming or current students may apply. Proceeds will be split equally between two semesters of study and may be used for tuition, fees, or books. Applied and been accepted (or currently enrolled) in the Industrial & Commercial Wiring or Industrial Instrumentation & Control program. Demonstrate a desire to succeed in this field. Possess a sincere desire to seek employment in Iowa. Have a high school GPA of 2.5 or a cumulative NCC GPA of 2.5 at the time you apply. Submit a narrative summarizing your interest in the agriculture industry, why you chose the program you are enrolled in, and your career goals in that field. The purpose of the Sioux Center Health Scholarship is to encourage individuals in the College district to pursue health related careers. Proceeds will be used for tuition and fees. Four scholarships will be awarded for the fall and spring semester and four scholarships will be awarded for the spring semester and summer term. Preference will be given to the immediate dependents of the Sioux Center Health employees and/or the greater Sioux Center area. NCC President’s Scholarship recipients will be excluded from consideration. Be enrolled in any of the Nursing programs, Medical Coding, Health Information Technology, Pre-Radiologic Technology, or Radiologic Technology program. Achieve a high school grade point of 3.0. Maintain a minimum cumulative grade point average of 3.0. Submit a narrative, which includes the applicant’s extracurricular involvement, the reasons for pursuing a health related career, and reference any previous work in the healthcare field. The Sanford Sheldon Medical Center Scholarship was created to encourage individuals in the College district to pursue health related careers. Proceeds will be used for tuition, fees, and books. Two scholarships will be awarded for the fall and spring semester and two scholarships will be awarded for the spring semester and summer term. NCC President’s Scholarship recipients will be excluded from consideration. Be enrolled in any of the Nursing programs, Medical Coding, Health Information Technology, Pre-Radiologic Technology, Radiologic Technology, Pharmacy Technician, Wellness Management, or Health Care Management program. Submit a narrative, which includes the applicant’s extracurricular involvement, reasons for pursuing a health related career, and any previous work in the healthcare field. The purpose of the Orange City Area Health System Scholarship is to encourage individuals in the community college district to pursue health related careers. Proceeds will be used for tuition and fees. Preference will be given to the immediate dependents of Orange City Area Health System employees. NCC President’s Scholarship recipients will be excluded from consideration. Be enrolled in any of the Nursing programs, Medical Coding, Health Information Technology, Pre-Radiologic Technology or Radiologic Technology program. Submit a narrative, which includes the applicant’s extracurricular involvement and the reasons for pursuing a health related career. The applicant must also reference any previous work in the healthcare field. The Marcia Tracy Memorial Nursing Scholarship was established to recognize individuals who have a sincere passion for the nursing profession and have the potential to become an exceptional nurse. Proceeds will be split equally between two semesters of study and will be used for tuition, fees, and books. Must have successfully completed the Extended Practical Nursing or Practical Nursing program and will be enrolling in either of the Associate Degree Nursing programs. Must have achieved a 2.5 cumulative grade point average through their first semester of study at NCC. Must maintain a 2.5 cumulative grade point average. Submit a written narrative that addresses the qualities the applicant believes they have that will make them both a passionate and compassionate nursing professional. Also, the applicant should reference any previous work experience within the healthcare field.